In the last few years, designer bag prices have gone up astronomically, making it even more difficult for the bag- loving community to afford them at retail prices. 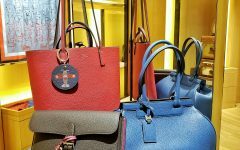 Because of the demand for certain premium labels, many have taken to buying their bags brand new or second- hand in the resale market. However, the biggest problem that a lot of the buyers face today is authenticity. Counterfeiting has become so rampant that those who dont do their research and buy from sites of questionable repute end up getting gypped of thousands of dollars of their hard- earned money! I am very cautious about buying bags online, but one of my go-to websites Ive used is eBay because over time, it has been an excellence source of information (market value of certain bags as well as what styles are available). eBay also remains the biggest marketplace where you can find designer bags both vintage and brand new (but sold out in the labels respective retail stores). And today I am so pleased to share that eBay has rolled out a new service that will further assure buyers that they are purchasing an authentic designer merchandise from their website. 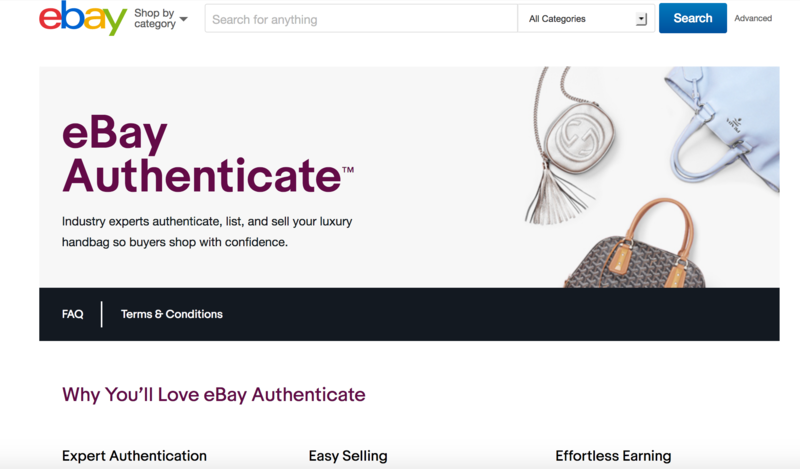 Called eBay Authenticate, people who have designer merchandise to sell can now send them to eBay, whereby their items for sale will be individually inspected and scrutinized not just for authenticity but also for an impartial and accurate condition report. This is really the best thing for secondary market bag buyersno more authenticity scares! As a seller, one of the biggest advantages of listing on eBay is thisyour item will be seen by a very large network of potential buyers from all over the world! 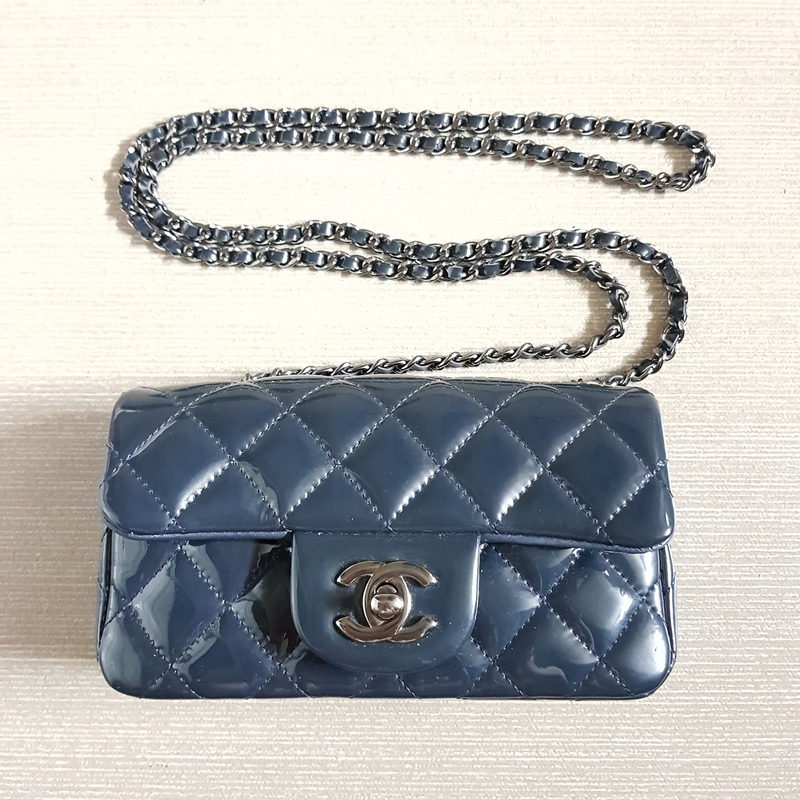 I recently decided to let my Chanel mini patent blue leather classic flap go, and thought that eBay is the best place to sell my item and get an optimum price for it. I availed of the eBay Authenticate service so that I can assure my buyers that they are buying an unquestionably authentic Chanel bag from me. Just log onto your account and select Sell with eBay Authenticate when you list your designer bag. When eBay receives your bag, they will inspect the bag, authenticate it, and list it on your behalf! All you need to do is wait for it to be sold! And when your item sells, you receive 80% of the final selling price! The bag was on auction a few days ago, and was sold at the price I wanted 🙂 Here was the link of my bag –> https://www.ebay.com/itm/263306338933 . This is really so hassle- free and is the best way to sell an item without buyer issues. And voila, money back in your account perhaps to buy a new bag! So peeps, if you are thinking of a good way to reach a wide audience with the bag you intend to sell, try eBay Authenticate! And if you are a buyer looking to snag a good deal but are worried about purchasing a fake, check out the merchandise sold by eBay Authenticate– they will back your purchase with a 200% money back guarantee!! 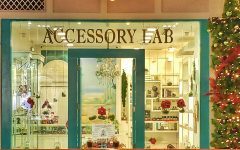 And because eBay wants to sweeten the deal further, for a limited time you’ll get 90% of the selling price when you send in your eligible luxury handbag by January 31, 2018! Imagine, a hassle- free transaction all the way with eBay 🙂 It’s unbeatable! !